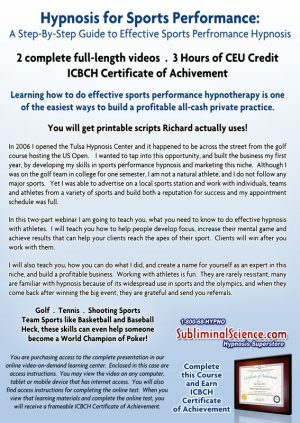 INSTANT ACCESS to the four training videos (75 minutes of practical instruction) and the 265 eBook Keys to the Mind, and the printable PDF Pre-talk script. Change takes place long before our client closes their eyes. This course is a guide to creating success before the session even begins. Do you want the printable script? And the 265 page eBook? and access to the four videos? I was looking at the many resources I have created over the years, and one book really stuck out an having some exceptional content. My book, Keys to the Mind: How to do hypnosis and practice hypnotherapy correctly has consistently had good reviews. But more importantly than the reviews, are the contents. There are over 30 pages in this book specifically devoted to effective pre-talk, and I was going to create an exerpt. But then I decided to do a flash promotion for those who read my blogs and newsletters and give you the whole eBook, all 265 pages! The best part? When you read the chapters I have highlighted, and view the 75 minutes of video (including real demonstrations) you will learn how to do exactly what I do in my pre-talk. I am also providing a printable transcript of one of these sessions, so you will have a practice guide you can refer to. This is what you get access to for $47! Nope! $9 today! The pretalk is where the magic takes place. Hypnosis does not begin when they close their eyes, or when the induction is over. Hypnosis begins with the first client contact, and if we do our pre-talk right, they have already made change, even before the formal session. This includes using convincers, conversational hypnosis, and techniques of building strong rapport and identification. What do you spend your time studying? Usually its induction, or techniques, or psychology of problems…. And these are all great things to study and master. But rarely do we devote time to mastering what precedes a session, and it is as important as anything. In fact, if might even be the most important part of a session. Increase your confidence, and increase your success by mastering effective pre-talk. You will know exactly what I do in my clinical hypnosis pre-talks, and you will know exactly how you can build rapport, help clients make better choices, and do the hard work – even before your session begins. To be clear, you have unlimited access after you purchase.